Please start your monthly gift today and become an Angel of the Poor. Children like Blanchard don't have to endure hunger because your gifts to Food For The Poor help give children the food and other basic necessities they desperately need. 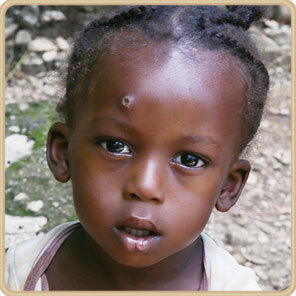 Please help Blanchard and children like her by giving a monthly gift and becoming an Angel Of The Poor.